Sam Smith rises above to score his second goal! 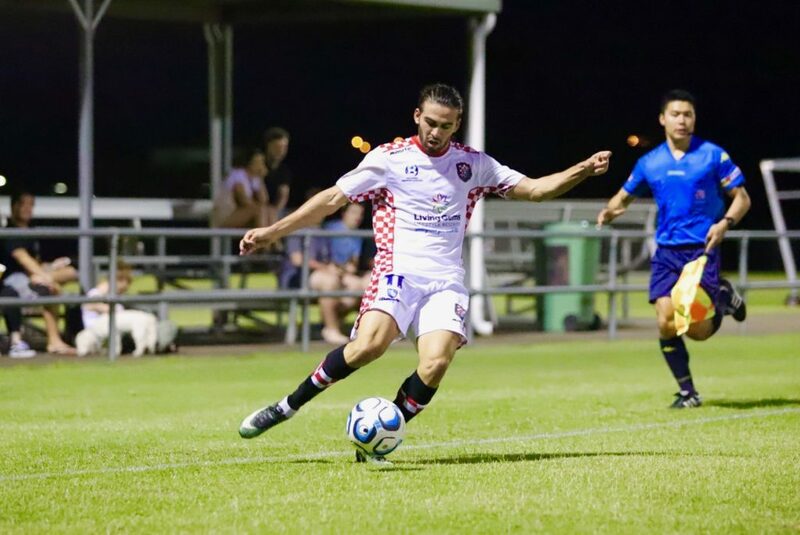 The Gold Coast Knights made history on Saturday night with their first NPL Queensland victory, coming in the form of a dramatic 3-2 extra time victory over Ipswich based Western Pride. Both sides had their chances early in the game, with opposing keepers being called into action to keep the ball out of the net. Knights created the better of the opportunities in the opening exchanges, when on the 18thminute mark a great piece of individual work by Nick Panetta gave Sam Smith an opportunity to net his first goal for the club that he could not take. 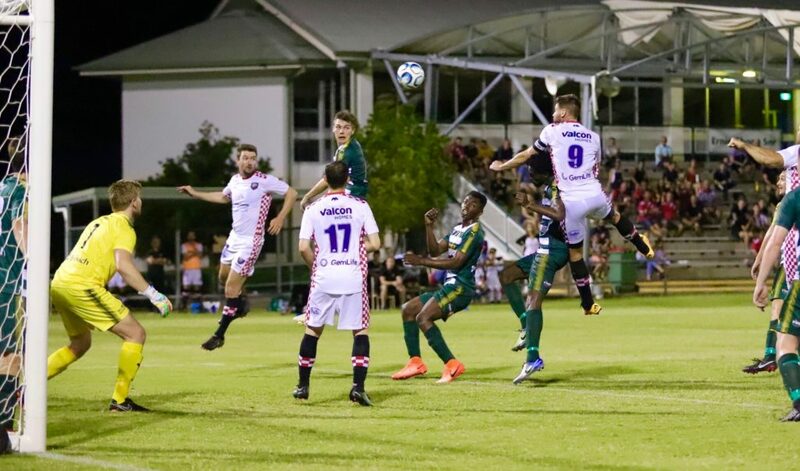 Pride continued to press the Knights on the counter attack and off set pieces, with their best chance coming on the 23rdminute mark when Jaiden Walker cleared a back post header off the line. It was Pride who would open the scoring, when a miscommunication between goalkeeper Josh Langdon and Matthew Schmidt allowed Pride to get in behind the defensive line and turn the ball towards goal, only for Oskar Dillon to push the ball into his own net. Knights continued to press in the latter stages of the first half but were unable to create any real threat on the Pride goal and went into the half a goal down. The opening exchanges of the second half saw a fearless Knights start the second half with a hunger to get on the scoresheet, with a number of chances falling into the feet of Max Brown and Smith again. Jayden Prasad’s assist got the Knights the equaliser in the second half! 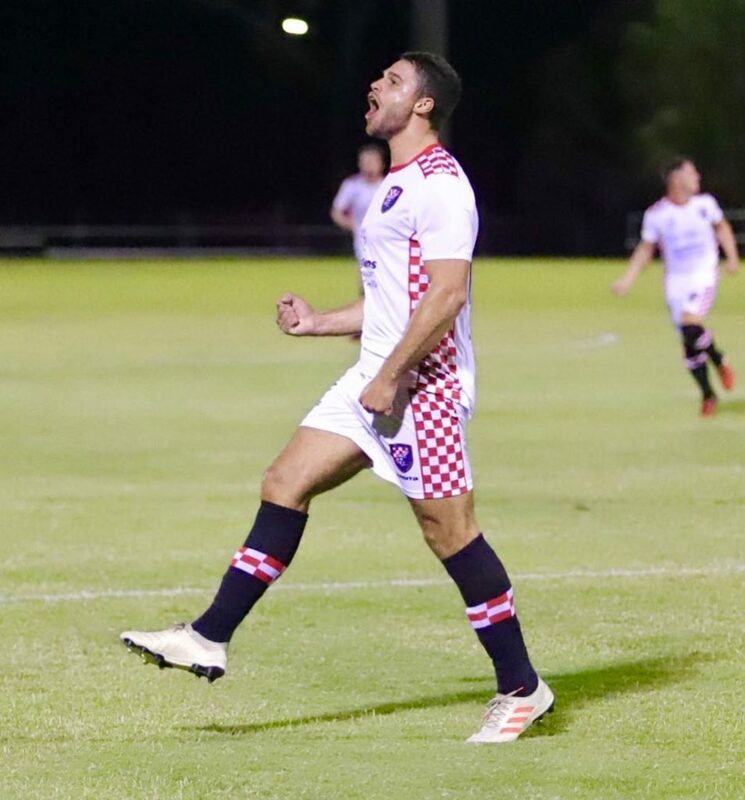 The pressure finally paid off, when Jayden Prasad showed great strength to get into the box and find the key marksman Sam Smith in the box who drilled the ball into the back of the net to bring the Knights back on equal terms. With a lot of possession and chances in the attacking third, Knights were nearly caught off guard throughout the midway point in the second half, when Langdon was forced to make a tip save over the bar and a goal line clearance steered away to keep things on level terms. After a mishit cross on the 72ndminute mark from Schmidt forced the Pride keeper into a great save, the Knights had a perfect opportunity from the incoming corner which they took with both hands. Roman Hoffman’s ball was weighted perfectly and it was Smith who once again rose above the pack and steered the ball home with a commanding header. The game was far from over and a cheap free kick given away around the box by the Knights turned into a golden opportunity for the hosts, who capitalised with a superbly placed free kick to equalise on the 83rdminute mark. Jarrod Kyle celebrates his 91′ minute match winner! It would be Knights however who would have the last laugh come extra time, when Schmidt crossed the ball towards substitute Jarrod Kyle who rose above the goalkeeper and guided the ball into the back of the net to steal maximum points away from home. With a double and a Man of the Match performance under his belt, Smith was quick to point out the confidence that the result would bring to the squad but wanted to see a better performance earlier in the game. “Now that we got the winner I am sure we will come to training next week full of confidence in preparation for next week and beyond,” said Smith. Head Coach Grae Piddick heaped praise on his side but felt that there is still room for improvement. “It was great to see so many travelling fans come from the Coast to support us and the boys love it. We are expecting another tough match next weekend but it will be good to be back at home,” said Piddick. The Knights now turn their attention towards Sunday’s game against SWQ Thunder of Toowoomba.